Ranging from traditional biscuits to cookies and chocolate specialities, come and discover our wide selection of products. You can also enjoy our second choice products at an attractive price depending on what is currently being baked. 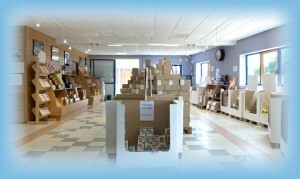 Our entire range of Breton boxes is available in our factory outlet. Find some of our products online!